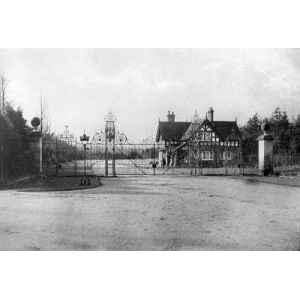 Description: The Newport Avenue Entrance Gates and Lodge to Lilleshall Hall. Lot 2 of the house and estate sale, details taken from the catalogue. House built 1831, owner Duke of Sutherland. 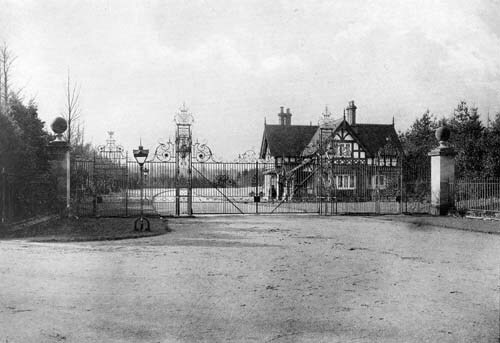 These gates are a copy of those at Buckingham Palace.